The most useless warning is one that never gets made. I had been a first officer on the ATR for about a year when I was paired with a young captain who had just upgraded from our smaller turboprop. Tim was a nice guy and a capable pilot. He was friendly and easy in conversation. He seemed to treat the flight attendant with respect (a real test of a captain, as far as I’m concerned.) Our first two days together went well. He was “by the book” generally but also had a fundamentally laid-back personality. So it was with some disappointment that I noticed a bit of defensiveness creep into his manner after he made a bad landing in a strong crosswind. Working elbow to elbow in a cockpit for three or four days at a time can be awkward and challenging under the best of circumstances. When things do not go as planned, tension can mount. Witnessing someone else make a mistake can put a strain on a new relationship. If you are not quick with a self-deprecating comment or fail to suppress the little gasp when the nose gear slams down hard, you may find an invisible wall developing between you. After the bad landing, Tim became sour and taciturn. When he spoke, it was usually an order and lacked the warmth evident at the beginning of the trip. He seemed to take any question as a reproach or a small act of insubordination. I reacted by shutting up and tending to my own business. The cockpit grew quiet. On day four we flew to St. Louis, Missouri. Though it is difficult to believe now, KSTL used to be one of the nation’s 10 busiest airports. TWA’s hub made it a bustling and congested place. The construction of the reliever Runway 11/29 was still in the future. To deal with the traffic flow, the airport authority for a time designated the taxiway north of Runway 12L/30R as Runway 13/31. It was narrow and short. It was used primarily for general aviation traffic given its proximity to the FBOs on the north side of the field. Our airline used 13/31 only for our smaller aircraft. It was not considered sufficient for the larger ATR. I didn’t know a great deal about CRM (cockpit resource management) at that time. I had been through our company’s course during initial training. But I will have to admit that I didn’t take it very seriously. I probably undertook the role-playing sessions grudgingly and perhaps chuckled a bit at the naiveté of it all. After our trip to St. Louis, though, I gave CRM another look. The flight in question had been uneventful, and we were being vectored for an ILS to Runway 12L. Ceilings were high and, when we broke out of the clouds, I reported the runway in sight. The tower controller, thinking we were a smaller plane, requested that we side-step and cleared us to land on runway 13. I hesitated. We were at an impasse. I had flown the ATR longer than Tim, but he was the captain and had more overall experience than me. Also, and perhaps more importantly, he seemed very sure of himself. “Tell him we are cleared to land, for goodness sake!” Tim looked at me like I was stupid. I looked up at the seemingly tiny runway. He was now pointing the plane toward it. I started to key the mike. ATC saved me. The tower, probably wondering about my delayed acknowledgment of the landing clearance, looked out and saw our plane break out of the overcast. The controller immediately said, “Oh, you guys are an ATR, you are cleared to land on 12L.” I acknowledged the clearance and Tim aimed the nose back toward the longer runway. For the rest of the trip, our conversation was mechanical and abbreviated. At our base, we landed and taxied in and shut down the plane and unloaded the passengers and went into the terminal and drove home and…Tim never said another word to me. I think he was so embarrassed that he had been wrong, and, worse yet, that he had been so emphatic in his wrongness, that he could not talk about it. I was embarrassed, too. I was embarrassed that I had not asserted myself when I believed I was correct. I was angry at myself for being so timid. I went home and thought a lot about what had happened. I like to believe that, sometime in those next 30 seconds, I would have gotten up the courage to argue the point with Tim. I like to imagine that I would have, at length, called for a go-around and insisted we climb up and check the performance tables. I like to think that. But, what I really believe is that, had ATC not saved my bacon, I would have swallowed hard, accepted the clearance, and we would have landed on runway 13. We would have put our passengers in some jeopardy, and we both would have been subject to violation. I used to say that the problem with CRM training is that the captains who desperately need it are not receptive to it, and the ones who are receptive to it don’t need it. I still think that is partly true. There obviously remain curmudgeonly old captains who want things done “my way” and who insist on a rigid military chain of command. Conversely, there are young Turks in the left seat who, anxious to exercise their new authority, are unwilling to admit errors or seek advice for fear of being seen as weak. These attitudes are self-defeating, of course, and the enemy of safety. But how can CRM help if the captains who could benefit from it won’t listen? Perhaps it helps in a less-obvious way. 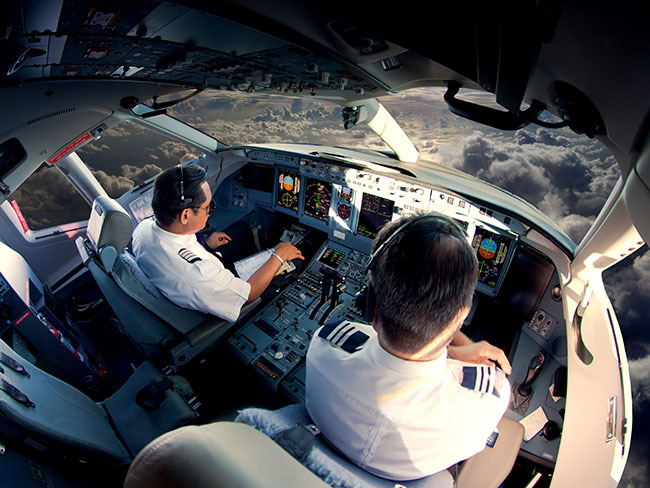 CRM improves safety because it also empowers first officers and flight attendants. I often wonder why I did not stand up to Tim that day in St. Louis. I wonder if I would today. I wonder if my first officers would stand up to me. There are so many factors in play. They involve hierarchies, psychology, time pressure and confidence. Tim was my superior. He didn’t have as much time on the ATR as I did, but he was a captain and had more total hours. Though Tim was a “nice guy,” his ego had recently taken a hit in my presence, and he had retreated into a defensive posture that prevented him from admitting he wasn’t sure about the runway. Since the events of that afternoon, I have attended many CRM classes as a first officer and as a captain. I have listened to cockpit voice recordings and read narratives about accidents that didn’t have to happen. Common threads run through many of these: ego, pride, intimidation, timidity, misunderstanding. Captains and left-seat general aviation pilots should reflect on these soberly. They should take seriously the admonition that “what’s right is more important than who’s right.” A captain who alienates his crew and discourages their input does so at his or her peril. And, I have found, letting that pride go, that need to always be right and in control, makes life in the cockpit easier and better. Our first officers, flight attendants and right-seat passengers have something to offer. They have a different view and a different point of view that we do not have. Listen up. More important than having a CRM-oriented captain, perhaps, is having an empowered and engaged crew. Speaking up to an imperious and dictatorial captain can be tough. It is probably naive to think first officers, flight attendants and GA passengers will be able to do this every time. And, of course, sometimes the captain is right. Finding that proper level of assertiveness is difficult. Life is like that, too. But when safety is on the line, it is better to err on the side of too much crew involvement than too little. CRM has encouraged this dialogue. It has given other crew members the courage to speak up and has encouraged captains to sometimes shut up and listen. Want to read more adventures and get insights from working pilots? 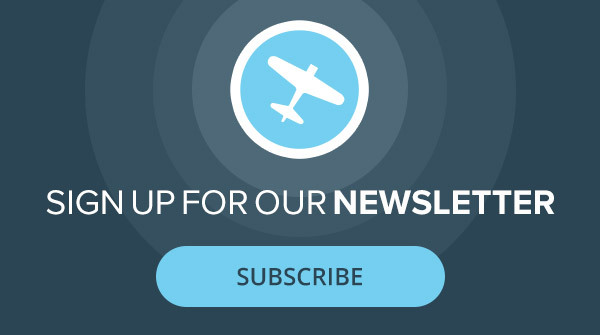 Check out our AirFare archive.